Come and see what this property has to offer! Open the front door and step onto the beautiful hard tile that continues throughout the downstairs. Move into the large living area that's great for entertaining. An open archway leads to a well equipped kitchen that is open to the living area and leads to the dining area. Follow the stairs up to a huge loft and find 2 large secondary bedrooms, a guest bath and a lovely Master with Bath featuring a separate shower and a walk-in closet with built-ins. 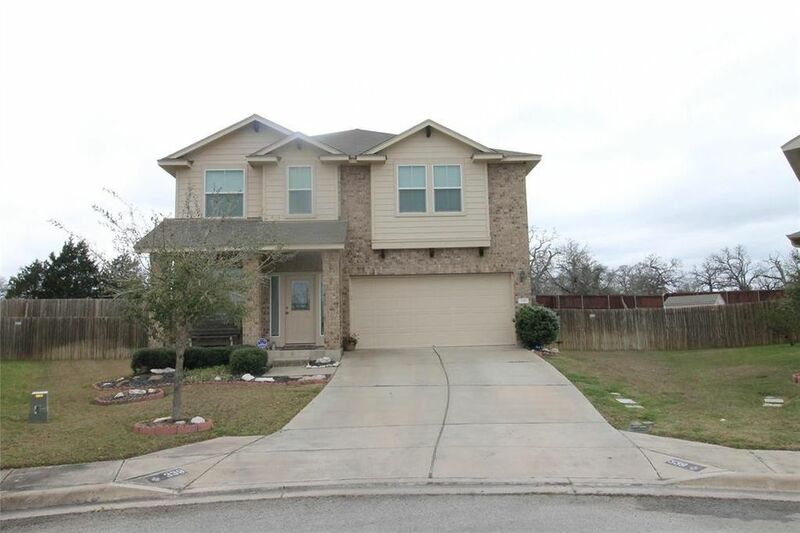 Outside, you will love the huge back yard with privacy fence. This subdivision features a pool, playground and sports court. Enjoy!! Directions: From Bastrop take 71W to Hwy 304 Right on Hunter's Crossing Blvd. Right on Hunter's Point Dr. Left on Antelope Trl. Right on Bird Dog Bend Home will be on right.